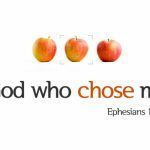 In this teaching on Ephesians 1:4-5, I explain the biblical concepts of election, predestination, and adoption, showing you that God does NOT choose some to receive eternal life while everyone else receives eternal death. Election is to service; not to eternal life. The biblical teaching on election is a controversial issue in the church. But it need not be so. By carefully defining our terms and then looking at how the word election is used in context, we see that what the Bible teaches about election is not something to be debated, but celebrated. If you have questions about the biblical doctrine of election, this excellent book by Shawn Lazar will help you see why and who God elects. Get a copy and discover what you have been elected to do. What are your thoughts on the ordo salutis debate from Romans 8:28-30? Are you familiar with it? What is your position? Do you have an opinion? Does God know what will happen because he has determined and decreed that it will happen, or does God know what will happen because He looked forward in time to see what would happen and then decreed what He saw? One of the big issues surrounding the meaning of Acts 13:48 and whether or not it teaches Unconditional Election is the meaning of the word appointed. This post examines the Greek of Acts 13:48 and looks at the context to determine what Luke meant when he wrote that as many as were appointed to eternal life believed. 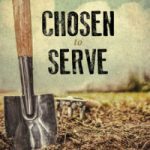 John 15:16 – Did Jesus choose who would be saved? 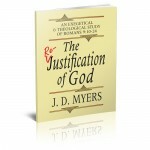 Have you ever heard that John 15:16 teaches unconditional election to salvation? Those who teach this can only do so by cutting Jesus off half way through His sentence. Jesus does not say in John 15:16 that He chose His disciples to receive eternal life. He says he chose them so they would go and bear fruit. Election is to vocation and service; not to eternal life. John 10:26 – Does Jesus Choose who will be His Sheep? John 10:26 is a popular text to defend the idea of Unconditional Election. But does it teach this? Jesus is saying that these specific Jews who are having trouble with His claims, are having this trouble because they were not previously one of God’s sheep. 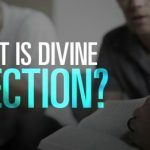 The basic explanation of Unconditional Election is that God, in eternity past, had an eternal decree by which He predetermined all things that would happen. This post provides several unconditional election quotes from Calvinistic authors and pastors. It is important to let Calvinists define election in their own words.